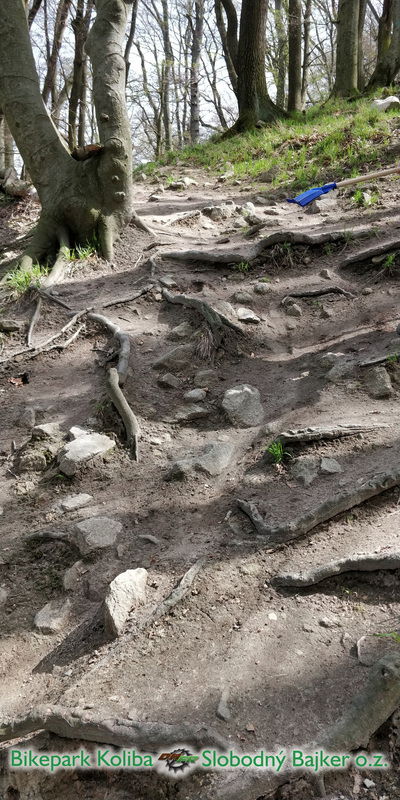 Rock Garden is a difficult DH (Downhill) track for skilled riders, whos likes steep sections with lots of stones and roots. 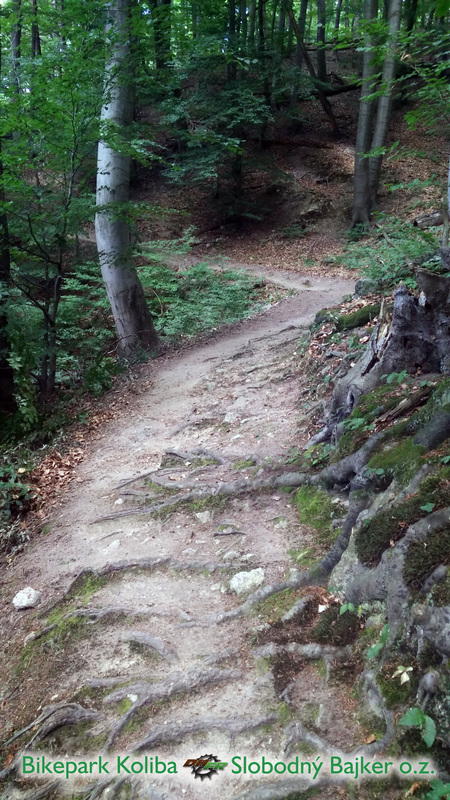 On the track you can find turns and long steep sections with descent till 43°. 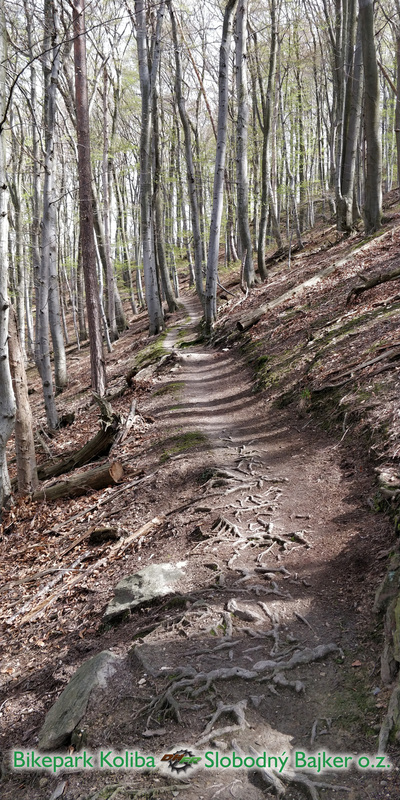 The track Rock Garden is marked on trees with black circle. 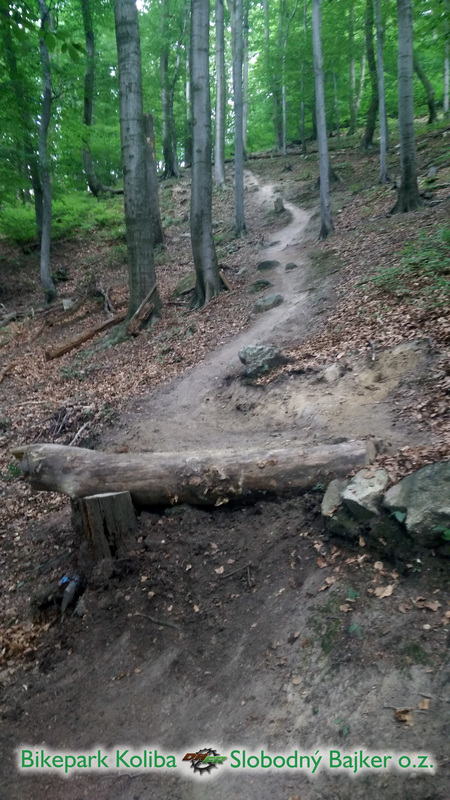 The beginning of the track is on the left side after fifth jump on the track Rohatka. 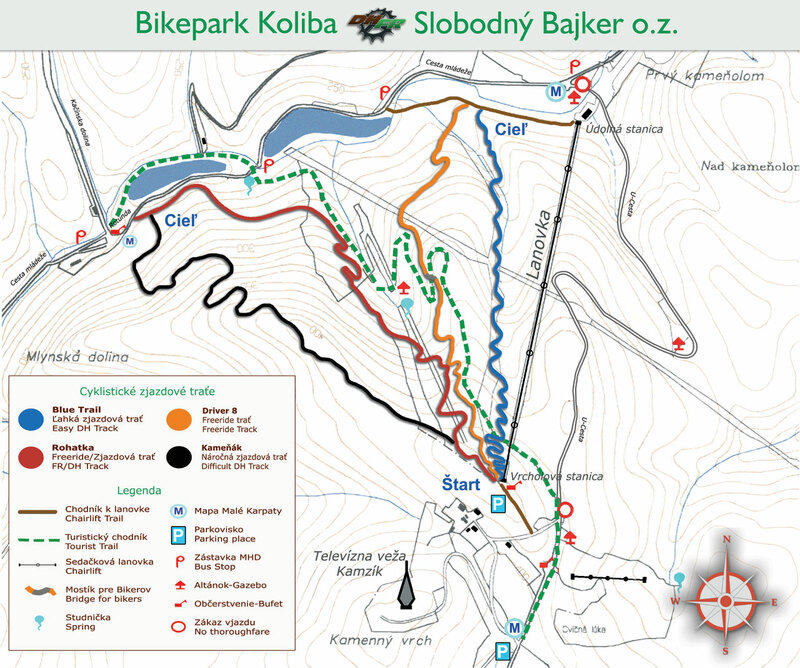 The track runs westward to the top of the hill Veľký Kolešavec. 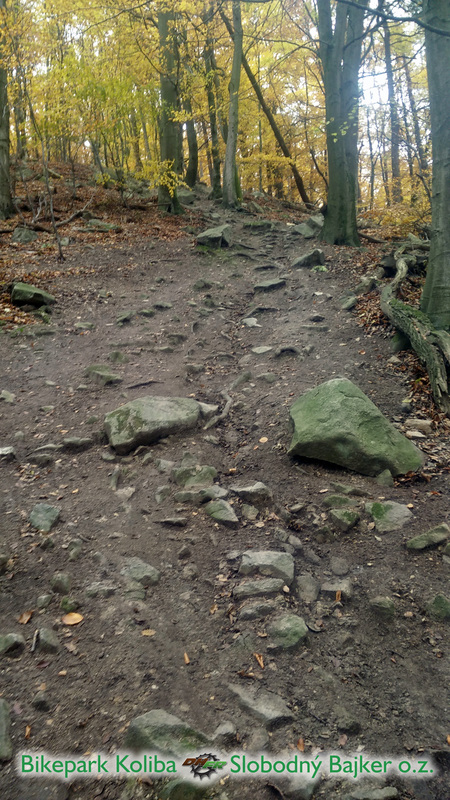 From there begins the steep sections with Rocks. 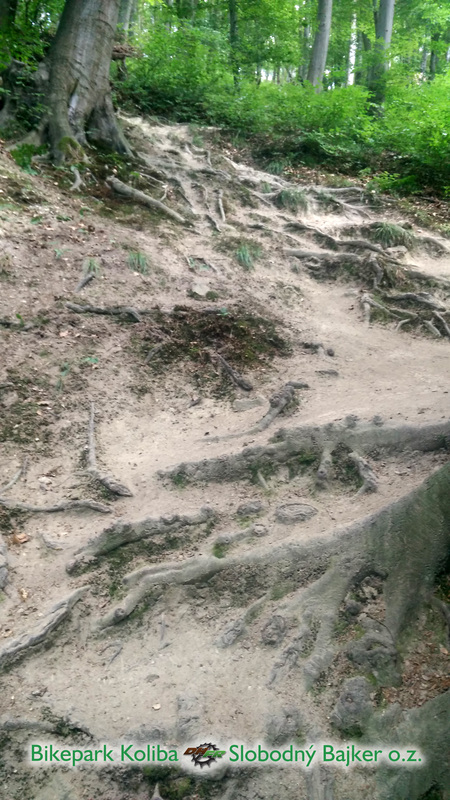 The track ends on Track Rohatka. From the end of the track its about 5min. on bike to the chairlift station. 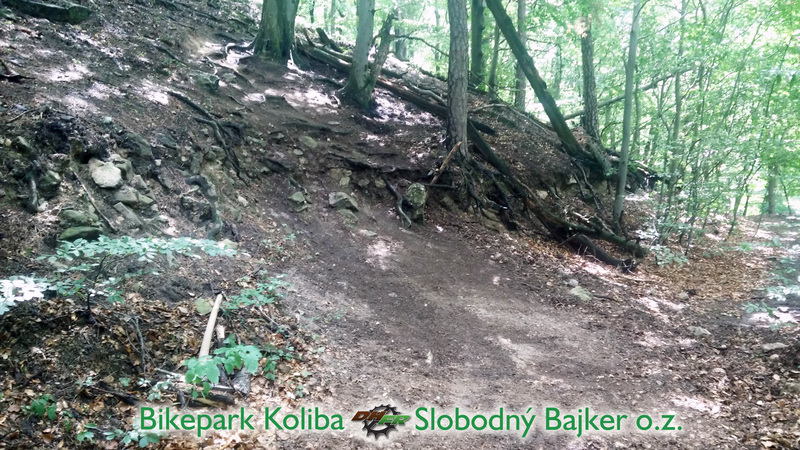 The chairlift will bring you on the top of the hill, where is the start of all tracks in Bikepark Koliba.